For many, the holiday season and year-end means donating to charitable and non-profit organizations that help people and the planet. If you are a regular donor, you get plenty of mail from your favorite charities, and maybe you want to stick with the “tried and true.” But you might want to also consider some novel giving opportunities, like $50 biogas stove for an impoverished family. For more than 70 years, Heifer International has been working worldwide to develop programs that alleviate hunger and poverty. The 32-page gift catalog lists gifts from $10 (share of a goat, pig or sheep) to $10,000 (herds of heifers, llamas, goats, and much more) that help provide basic needs, support sustainable farming, and empower women. Each gift explains how it will benefit a family or community. Let’s take the stove, one of my favorites because a cousin gave it to my mother for her 90th birthday. Many families in under-developed countries cook with firewood, which leads to soil depletion and deforestation. A biogas stove runs off methane gas from animal waste, which is a much more efficient and clean method for cooking. My cousin cut out the photograph of the stove from the catalog and put it in a card to my mom, but you can also download “honor” cards from the Heifer site. And along with helping those in need, both the gift giver and receiver will have a lot of fun boasting about their unusual gift. My cousin and mom sure did! The Evangelical Lutheran Church in America has a similar gift-giving program, called ELCA Good Gifts Catalog. "It's that time of year when people all across America succumb to bad gift giving. Not me, I'm protecting polar bears for my mom and adopting a wolf in Yellowstone for my sister," HBO television host Bill Maher explains on the National Resources Defense Council’s Green Gifts site. Popular gifts include planting a tree in a rainforest in Costa Rica ($15) and helping the environmental action organization protect African elephants by banning commercial ivory trade ($20). You can support the environmental outreach of the Sierra Club by adopting an alligator, snowy owl or other animal in honor of someone (starting at $39), or giving an annual membership for $25. 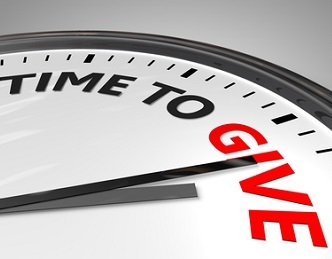 A Charitable Gift Annuity allows you to make a substantial donation to a favorite non-profit, while providing you with a fixed income for life and tax benefits. The interest rates on their CDs and other fixed-income investments have declined, and they would like to increase their cash flow. They own appreciated stock or mutual fund shares and have considered selling some of the shares and reinvesting the proceeds to generate more income, but they don't want to pay tax on the capital gain. They would like to count on fixed payments, which are unaffected by interest rates and stock prices and which they cannot outlive. They want to assure continuation of payments to a surviving spouse without the delay of probate proceedings. They would like to provide financial assistance to an elderly parent, a sibling, or other person in a tax-advantaged manner. Consult your financial advisor for more information. Another way to support a cause is to set up an endowment fund at a community foundation. You give it a name and a purpose, and donate funds (typically a minimum of $10,000) that will be used for grants once the fund reaches a certain amount. Contact your local community foundation for more information.